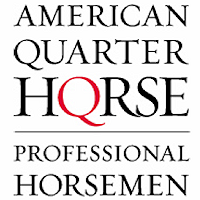 JM Quarter Horses offers a complete program for both horse and rider. From finding the right match for a client in purchasing their next partner, to developing the horse into their show mount. JMQH works with both the Youth and Amateur owner to develop their skills all the way from Novice to accomplished top competitions. Horses that come into the program are coming into just that – a program – where they are treated with kindness, loyalty and integrity with a long term plan on how to achieve their goals. JMQH’s First Small Fry Team at the 2018 Congress!